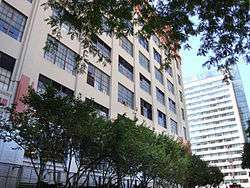 Discussions about a merger with Polytechnic University and New York University began in 2004. Four years later Polytechnic University and New York University agreed to take steps towards a merger beginning with a formal affiliation between the two schools. This affiliation resulted in the school changing its name to Polytechnic Institute of New York University. 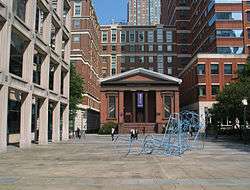 The schools officially merged in 2014 when the New York State Regents approved the change of charter making NYU the sole member of Polytechnic University. Since the merger applications to the school and incoming SAT scores have increased substantially. The school has also experienced an influx of students coming from outside of New York state. Fundraising and faculty research awards have increased since the merger as well. In 2015, a gift of $100 million from Chandrika and Ranjan Tandon resulted in the school changing its name to the Tandon School of Engineering. The school also opened a bioengineering facility in partnership with the medical and dental schools. Chandrika and Ranjan Tandon gave the school a $100 million gift in 2015 resulting in the school changing its name to the Tandon School of Engineering. One month prior to the Tandon’s gift, the school received a $10 million scholarship grant. The school received nearly three dozen donations of $5 million or more in 2014 and 2015, excluding the Tandon’s gift. Also in 2015, New York state awarded a $4.45 million grant to the school. NYU Tandon Online is the online learning unit at NYU Tandon School of Engineering which offers 8 master’s degrees, 2 graduate certificates, and 6 certificates of completion programs fully online. Focused on peer-to-peer engagement, the unit has been recognized as providing one of the top online learning programs by U.S. News & World Report, and the Online Learning Consortium among others. Ranked #46 (tied) in U.S. News 2016 graduate engineering programs. 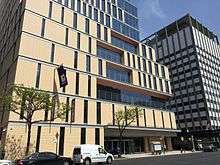 ↑ "Brooklyn's Polytechnic University approves NYU merger". Therealdeal.com. 7 March 2008. Retrieved 23 June 2016. ↑ "About the School of Engineering - NYU Tandon School of Engineering". NYU Tandon School of Engineering. Retrieved 22 February 2016. ↑ "New York University Tandon School of Engineering: Quick Facts" (PDF). New York University Tandon School of Engineering. December 2015. Retrieved 22 February 2016. ↑ "$100 Million Gift to NYU School Of Engineering from Chandrika and Ranjan Tandon" (Press release). NYU Tandon School Of Engineering. 5 October 2015. Retrieved 22 February 2016. ↑ "Archived copy". Archived from the original on 2012-11-06. Retrieved 2012-10-19. ↑ "Archived copy". Archived from the original on 2013-07-19. Retrieved 2013-08-30. ↑ "About the School of Engineering". Engineering.nyu.edu. Retrieved 23 June 2016. 1 2 3 4 5 6 7 8 "BROOKLYN'S POLYTECH, A STORYBOOK SUCCESS". The New York Times. 5 January 1986. Retrieved 23 June 2016. ↑ "Rich History | NYU Polytechnic School of Engineering". Engineering.nyu.edu. Retrieved 2014-02-12. 1 2 "Archivist's Angle: The History of Engineering at NYU - Cable". Engineering.nyu.edu. Retrieved 23 June 2016. ↑ "Archived copy". Archived from the original on 2016-03-04. Retrieved 2016-03-05. ↑ "Advantages in the Bronx | The College on a Hill". Nyuuniversityheights.com. 2011-04-28. Retrieved 2016-08-18. ↑ "Report on Enrollment, Retention & Graduation : Based on Census Data for Fall 2015" (PDF). Engineering.nyu.edu. Retrieved 2016-08-18. 1 2 "FACT SHEET : NYU-POLY AFFILIATION/MERGER" (PDF). Engineering.nyu.edu. Retrieved 2016-08-18. ↑ "At the campus announcement" (PDF). Nysenate.gov. Retrieved 2016-08-18. ↑ "POLYTECHNIC UNIVERSITY New York State Board of Regents Approves Partnership Between Polytechnic University and New York University". Atlanticyardsreport.blogspot.com. 2008-05-21. Retrieved 2012-02-01. 1 2 "Bioengineering | NYU Tandon School of Engineering". Engineering.nyu.edu. Retrieved 2016-08-18. ↑ Hays, Elizabeth (2001-06-26). "$275M & MORE FOR POLY". New York Daily News. Retrieved 2016-08-18. ↑ "ePoly Briefs :: News and events for faculty and staff of Polytechnic University". Archive.poly.edu. Retrieved 2016-08-18. ↑ "$100 million gift from Chandrika and Ranjan Tandon for engineering at NYU". NYU. New York University. Retrieved October 5, 2015. 1 2 3 Chevance, Greta. "After Tandon donation, money continues to roll in". Nyunews.com. Retrieved 23 June 2016. ↑ "About the School of Engineering". NYU Tandon School of Engineering. Retrieved 20 August 2015. ↑ "Archived copy". Archived from the original on 2015-12-29. Retrieved 2016-01-15. ↑ "Archived copy". Archived from the original on 2016-05-04. Retrieved 2016-05-15. ↑ "College ROI Report: Best Value Colleges in New York". Payscale.com. Retrieved 2016-08-18. ↑ "Best Online Engineering Programs | Online Graduate Engineering Rankings". US News. Retrieved 2016-08-18. ↑ "College Education | Scholarships | Admission". The Princeton Review. Retrieved 2016-08-18. ↑ "2014 QuantNet Ranking of Financial Engineering Programs". Quant Network LLC. 2015. Retrieved 2015-05-31. ↑ "Best Engineering Schools". U.S. News & World Report. Retrieved 2016-03-19. ↑ "Polymer Research Institute". Portal.acs.org. Retrieved 2015-05-31. ↑ "Wireless Research Center Led By NYU-Poly Ranks At Top In National Science Foundation Survey". Bloomberg Businessweek. Retrieved 2015-05-31. ↑ "Center for Advanced Technology in Telecommunications | CATT". Catt.poly.edu. Retrieved 2016-08-18. ↑ "Information Systems and Internet Security". Isis.poly.edu. Retrieved 2016-08-18. ↑ "NYSRISE". NYSRISE. Retrieved 20 August 2015. ↑ "Governor Cuomo Announces New Academic Partnership Focused on Storm Resilience and Emergency Preparedness". Governor's Press Office. 2013-11-01. Retrieved 2014-10-12. ↑ "NYU-Poly and Stony Brook University Launch the New York State Resilience Institute for Storms and Emergencies". NYU Polytechnic School of Engineering. Retrieved 20 August 2015. ↑ "An NYU-Poly Year in NYC". Nyc.poly.edu. Retrieved 2016-08-18. ↑ "Physics News :: Tough, light, inexpensive composite brake rotors could make their way to regular cars". Physnews.com. Retrieved 2016-08-18. ↑ "Tough, light, inexpensive composite brake rotors could make their way to regular cars". Gizmag.com. 2012-01-22. Retrieved 2016-08-18. 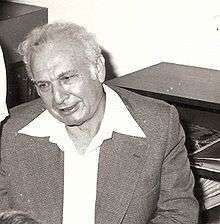 ↑ "Benjamin Adler, 86, An Early Advocate Of UHF Television". The New York Times. 18 April 1990. Retrieved 23 June 2016. ↑ "NAE Website - Dr. Jack M. Sipress". Nae.edu. Retrieved 2016-08-18. ↑ "Oral-History:Jack Sipress - Engineering and Technology History Wiki". Ethw.org. Retrieved 2016-08-18. ↑ "Letter to President Obama" (PDF). Whitehouse.gov. Retrieved 2016-08-18. ↑ "i2e Invention Gallery | NYU Tandon School of Engineering". Engineering.nyu.edu. 2011-04-01. Retrieved 2016-08-18. ↑ "inspiration gallery poster". Cchayes.com. Retrieved 2016-08-18. ↑ "ePoly Briefs Home". Archive.poly.edu. Retrieved 2016-08-18. ↑ "NYU-Poly : Computational Mechanics Laboratory". Faculty.poly.edu. Retrieved 2014-02-12. ↑ "Maurizio Porfiri". Faculty.poly.edu. Retrieved 2014-02-12. ↑ "BXMC". Bxmc.poly.edu. 2014-01-01. Retrieved 2014-02-12. ↑ "Wireless Implementation Testbed Lab @ NYU - Home". Witestlab.poly.edu. Retrieved 2014-02-12. ↑ "Levicky Group". Faculty.poly.edu. Retrieved 2014-02-12. 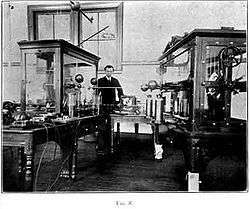 ↑ ":: Polytechnic Institute of NYU :: Control Lab". Eeweb.poly.edu. Retrieved 2014-02-12. ↑ ":: POLYTECHNIC UNIVERSITY :: High Speed Networking Lab". Eeweb.poly.edu. Retrieved 2014-02-12. ↑ "Power Lab @ NYU-Poly". Power.poly.edu. Retrieved 2014-02-12. ↑ "NYU-Poly Game Innovation Lab | CITE Game Innovation Lab at Polytechnic Institute of NYU". Poly.edu. Retrieved 2014-02-12. ↑ "Montclare Lab". Faculty.poly.edu. Retrieved 2014-02-12. ↑ "Positions Available - Translational Neuroengineering". Tneuro.com. Retrieved 2014-02-12. ↑ "NYU School of Engineering Names Noted Green-Tech Expert Pat Sapinsley Head of Cleantech Initiatives". Prnewswire.com. Retrieved 2016-08-18. ↑ "Urban Future Lab". Urban Future Lab. Retrieved 2016-08-18. ↑ "NYU New Biomatrix Center's Key to Halting Cancer, Healing Wounds: Hyaluronan". NYU Polytechnic School of Engineering. Retrieved 20 August 2015. ↑ "Archived copy". Archived from the original on 2015-09-07. Retrieved 2015-08-20. ↑ "Testimony of Steven Koonin" (PDF). Nyu.edu. Retrieved 2014-02-12. ↑ "History | Polytechnic Institute Alumni Association | NYU Tandon School of Engineering". Engineering.nyu.edu. Retrieved 2016-08-18. ↑ "NYU Polytechnic School of Engineering Achieves On Time, Within Budget Campus Solutions and HCM ab Upgrade 7.6 to 9.0" (PDF). Sierra-cedar.com. Retrieved 2016-08-18. ↑ "Chaning The World : The First 150 Years" (PDF). Engineering.nyu.edu. Retrieved 2014-02-12. ↑ "What Will You Do ?" (PDF). Engineering.nyu.edu. Retrieved 2012-02-12. ↑ "Archived copy". Archived from the original on 2013-06-10. Retrieved 2012-09-14. "Brooklyn Polytechnic Institute". Encyclopedia Americana. 1920.